Have you ever thought about what your local city, county, or state community health department do? Well, in just about every aspect they are involved in your life. 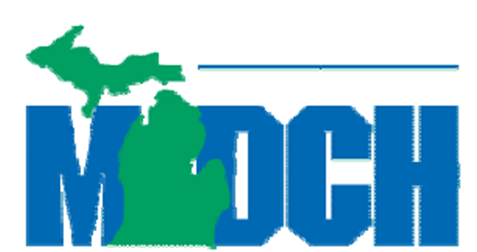 The Michigan Department of Community Health has put together a very comprehensive 3 page document of the many programs and areas they license, investigate, educate, encourage change in, and or administer. You go to lunch at a local restaurant. Local health departments inspect food service facilities. You decide not to go back to work since everyone’s sick anyway, and think you’ll get that tattoo you’ve been dreaming about. We license tattoo artists. You decide to visit your grandma to show off your new tattoo. She’s at a local nursing home facility. We license nursing homes. You go home and realize a raccoon bit your dog. You trap the raccoon and call animal control. Our department tests animals for rabies. You start to prepare dinner. You wash your fruits and vegetables and cook your meat thoroughly to help prevent contamination from E. coli bacteria. The State Laboratory analyzes food specimens during food borne illness outbreaks. After dinner you go for a walk and let the kids ride their bikes. We work with communities to provide safe sidewalks and bike trails to encourage physical activity, and we promote the use of bicycle helmets. The comprehensive list can be found on michigan.gov. And if you have experience with any of the thousands of public health departments across the nation, please share it on WhereToFindCare.com. They should know how much you appreciate their services.